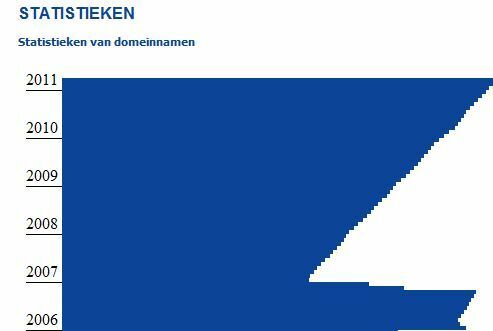 Both DNS.BE, the official administrator of .be domain names, and SIDN, its counterpart in the Netherlands, announced the statistics for the .be and .nl domains this week. And they show excellent results. In 2010 there were 257,531 new applications in Belgium, which is 25,000 more than in 2009 (232,700). Because some domains weren’t renewed, they counted 1,101,668 .be domains at the end of 2010, which is a net increase of 123,670 names. The Netherlands ended with 4,192,454 domains at the end of 2010, and that year it registered 514,230 new applications. Because of an application increase in the beginning of 2011, they can now proudly proclaim that, with 4.3 million nl. domains, they obtained the third place from the more than 250 country domains worldwide.